With FCA dealerships hurt by a shortage of techs in the pipeline, some dealers call for accepting other brands' certifications. "If I do some warranty repairs for Chrysler with an unskilled person, I eat it, I pay for it." By any measure, Lompoc, Calif., should be a fruitful market for Jeep, Dodge, Chrysler and Ram vehicles. The community of about 40,000 is 150 miles northwest of Los Angeles and 8 miles from the Pacific coast. Major local employers include Vandenberg Air Force Base and a large federal prison complex. Lompoc, the "flower seed capital of the world," is a hub for agriculture, wineries and other businesses that favor the pickups and SUVs that Fiat Chrysler emphasizes. At RocketTown Chrysler-Dodge-Jeep-Ram, though, owner Chris Zikakis finds himself stymied by a warranty service bottleneck. 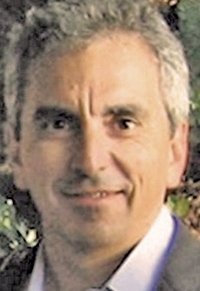 It's not that he doesn't have enough technicians -- Zikakis also owns the adjacent Lompoc Honda, and the two stores can share staff -- but that his technicians can't easily get the highest FCA certification needed for warranty work to be reimbursed. "If I do some warranty repairs for Chrysler with an unskilled person, I eat it, I pay for it," says RocketTown Service Manager Justin Shores. Shores says that some 70 percent of the warranty work that comes to RocketTown requires involvement of a technician with Level 3 certification, FCA's highest. Level 3 is a brand-specific master technician equivalent. Gaining that certification can be a multiyear process, and a costly one. "I have a Honda master technician, and I can't get him up to speed with Chrysler any sooner than three to five years. He's a 30-year tech that Chrysler sees as an oil change guy," Shores says. Top-rated FCA technicians are scarce in the market. Recruiting and retaining one at a small dealership such as RocketTown is tough. Zikakis: Use other brands' techs. "You could say that torqueing a bolt applies to all cars, but the engine management philosophy differs between all cars. Some of the tools that we use, like codes and code readers and devices used to talk to cars now, are completely different from one brand to the next." But more broadly, at a time of an industrywide technician shortage, FCA is particularly hard hit. The company's 2009 financial difficulties led to cutbacks in its service education program. A reduction in education facilities, for example, at one point left just 30 schools nationwide where technicians could put in the required classroom work for certification. The result is a shortage in the technician pipeline that leaves some dealers scrambling to fill lead technician positions and paying high hourly rates to keep the techs they have. Many, including Zikakis, wonder why FCA can't simply adopt a blanket program that would accept other brands' certifications as equivalent to FCA's program. "Wouldn't it be a win if a Ford master tech switched over to work on Chrysler?" Zikakis wrote in an email. 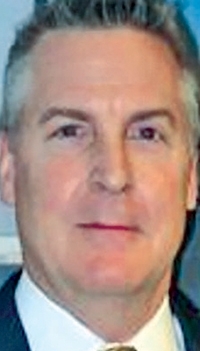 John Fox, FCA director of dealer training, says he knows many dealers are frustrated. But he says the issue primarily has been one of communicating efforts the company has made to streamline the certification process and allow technicians to do work they previously couldn't. "The largest issue we have is awareness. When you look at the programs we have developed and offered and growth in our technician base, I'm not sure how we have dealers who are missing it," he says. Fiat Chrysler allows technicians to work on jobs above their certification class in certain situations. • FCA US Technician Exemption Program: A technician training for the next certification level may be paid for work one level above their current certification for a limited time — Level 0 at Level 1 for 6 months; Level 1 at Level 2 for up to 18 months. • FCA US Shop Certification Program: A dealership with high fixed-right-first-visit results and that has met minimum training requirements can let technicians work one level above their certification on up to one-quarter of warranty repairs. The program fosters mentoring in the workplace. Fox: Programs in place to help. In January 2015, FCA issued a "technician exemption" policy that allows technicians to work one level above their certification if the technician is in training for the next certification level. Then in March last year, the company broadened warranty service with a program called "shop certification" that allows technicians at dealerships with high levels of first-time-right repairs to do warranty work one level above their certification grade if they are mentored by a higher-certified technician. Up to 25 percent of a dealership's warranty work can be done under the program. "When you allow those two programs to work hand in hand, we have given the dealer some great flexibility to bring in new technicians and train them at the speed they need," Fox says. Fox also says that 95 percent of FCA warranty repairs can be made by Level 2 and lower certified technicians, contrary to Zikakis' view that about 70 percent of his warranty work has to be done by a Level 3 technician. FCA understands that a technician shortage exists. Fox says FCA has identified the need to recruit and train at least 5,000 new technicians for its dealerships by 2018. But Fox adds that expanded educational efforts gained the company 2,600 net new certified technicians in 2015. The company is expanding the number of classroom training centers for Level 0 and Level 1 training by building relationships with community colleges, a program named Mopar Career Automotive Program Local. Twenty such schools are already part of the program, with another 30 expected to be added this year and 50 more in 2017. By 2018, FCA will have roughly 130 relationships with community colleges and technical schools. Graduates of the MoparCAP Local programs can complete Level 2 repair work under the company's warranty technician exemption program. Level 2 courses are taken at FCA facilities over the 18 months following graduation to satisfy those requirements. In addition, 31 MoparCAP schools teach through Level 2, while 26 FCA training centers and 15 additional mobile locations teach Level 3. 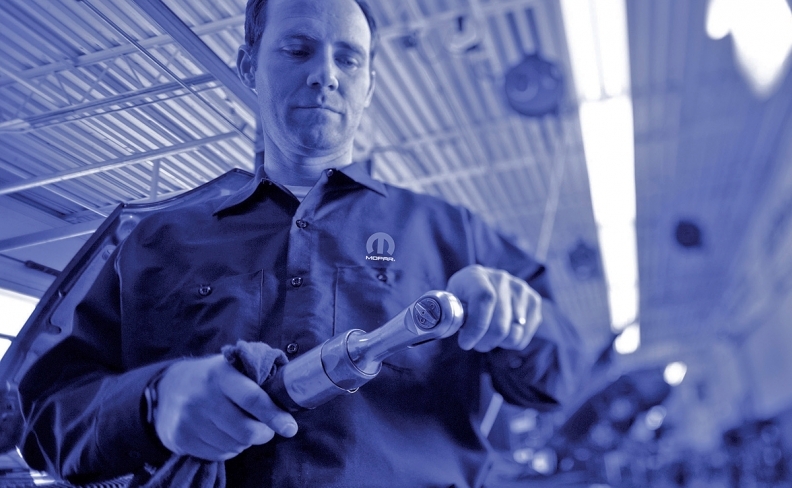 Finally, the Mopar training allows experienced technicians to avoid classroom training for some parts of a higher certification by testing out of them using the company's online learning management system. "For each one of those technicians, if they would come in and do our web course for Level 0 and Level 1, they could do that in two weeks, and then based on their knowledge, they could test out of a number of our classes," says Fox. "It could take two years if somebody had reached the master level at Ford or any other OEM, and they wanted to take the live courses and didn't want to test out, but I've seen it go quicker than that." Mopar training allows experienced technicians to test out of some certification requirements online. John Saia, certification consultant for the National Institute for Automotive Service Excellence (ASE) and a former Toyota certified master mechanic, says that in general, brand-specific certification programs such as FCA's are useful and protect vehicle owners' interests. "In light of some of the more recent high-volume recalls, the dealers and technicians and OEs have determined that some of these repairs are very unique. In some cases dealers have used untrained people to do some of these repetitive repairs, and sometimes they don't get done properly," he says. 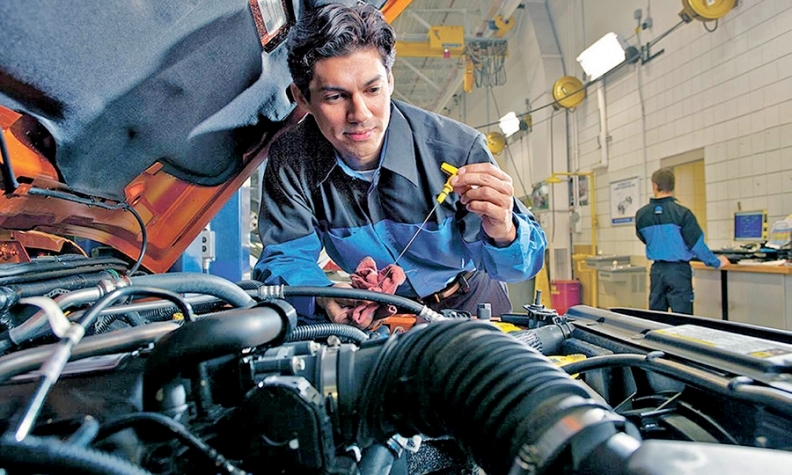 ASE certifies generic automotive skills at every level up to master technician, and Saia says the first certification credential a technician should get is the ASE one, followed by the brand-specific certifications. "You could say that torqueing a bolt applies to all cars, but the engine management philosophy differs between all cars," Saia says. "Some of the tools that we use, like codes and code readers and devices used to talk to cars now, are completely different from one brand to the next." Nonetheless, he supports the idea of quicker certification for experienced technicians. Toyota, for example, would recognize a master technician coming from another brand as long as he or she had proof from the brand as well as an ASE certification. The technician would be given a lower Toyota certification but with an accelerated tenure process. "Instead of having to wait five years, he could get [to master] in two," Saia says. Saia is concerned, though, about FCA's community college approach to expanding its certifications. "They can't invest in brick and mortar in opening and developing more training centers and hiring more instructors, so the only thing they could do is soften the rules," he says. That approach amounts to saying, "We're going to open a bunch of schools, send them the curriculum and say, "OK, you're now a training center,'" he argues. Says Saia: "They've thoroughly diluted their quality."